Do you want to be my True Friend? If you ARE one of my True Friends, I will make you a badge. Due to recent increases in applications and other rude circumstances, we have had to tighten up our recruitment parameters. Meet every single one of the very important items identified on my Some Advice for My Newest Friends post, and more. Complete an animated GIF successfully to my exacting specifications. Fill out the following form and pass my stringent standards of quality. And 4. 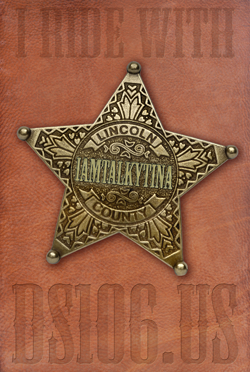 You had better be following me on Twitter (i am @iamTalkyTina)so I can send you your Badge after I make it. The nerve! Imagine applying to be a True Friend and you don’t even follow someone on Twitter. If I hadn’t already spent time making the badge, I would make you re-apply. And 5. Agree, both in principle, and in action, to be respectful of the True Friend status, and NOT use The Mean Word in conjunction with any contexts in which I am also mentioned. Apply Here. And good luck! I thank you for applying, but Only True Friends will be contacted and provided with their official badge.